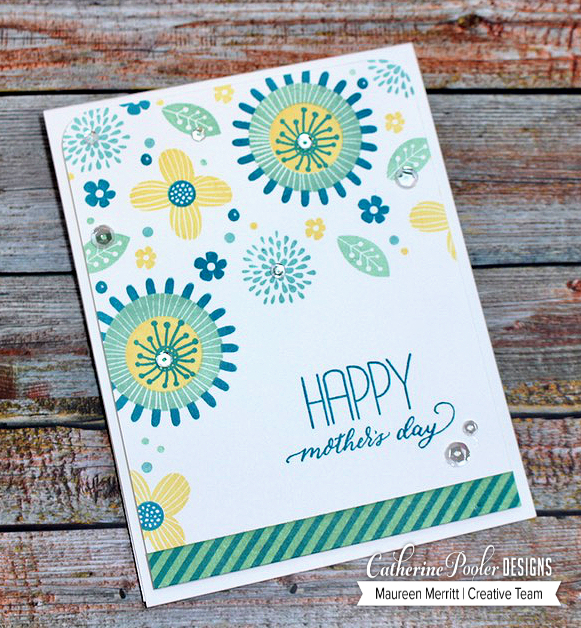 Mama Mo Stamps: Flash Sale, Giveaway and the Perfect Reason! Love your cards! Every card I've seen made from this set is awesome! It is a very versatile set. 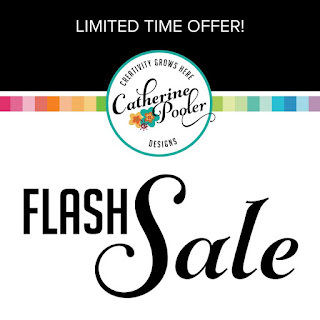 It is on my wish list for my next order from Catherine's shop but to win it would be so much fun! 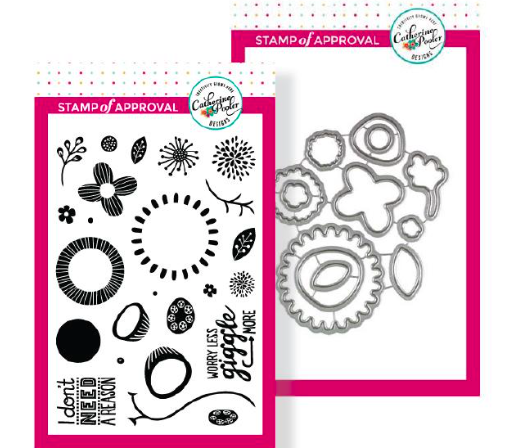 I love flowers too and I think this stamp set is awesome because you "build" the flowers yourself and I love that there are matching dies to help cut them out!! Thanks for the chance to win the bundle! Such a beautiful and versatile set. It really is “perfect”....as is your use of them on these amazing cards. Thanks for sharing!! I just love the flowers. They look Scandinavian in their simplicity. Always a plus! I love your second card the best with oranges, greens, and black. So striking! It's a really unique floral set. Amazing what you can do with one stamp set, these are both gorgeous and different!! This set and your cards is just beautiful! I love all of the possibilities for different floral designs. So pretty! Your cards are amazing, I love this set, I don’t know why I don’t have it yet! Your cards are wonderful. I love the color combination and the stampset is so versatile. Thank you for sharing. Both cards are really lovely. I'd love to make something similar! Love the colors on the Mother's Day card! The Perfect Reason stamp set is my kind of stamp set! I LOVE. creating cards with floral images! Your cards are beautiful. Love those flowers! Maureen, both cards are so lovely and beautiful with those colorful flowers and bold sentiments. Thank you so much for the inspirations and a chance to enter your giveaway! What a gorgeous set! Love how you can mix colors one one flower my mixing stamp parts! Thanks for the chance! Such an easy bouquet to give anyone! Love the card color combo of your second card! Such a fun set ... Endless possible combinations of flowers/colors/designs. Perfect reason to play. Your cards are inspiring. Thank you for sharing. Your cards are so beautiful, love the color combos! This stamp set is “perfect”because it lets you create your own layered (or not!) flowers, and this set REALLY invites you to just PLAY with stamps. I just haven’t seen a card with this set that I didn’t love! 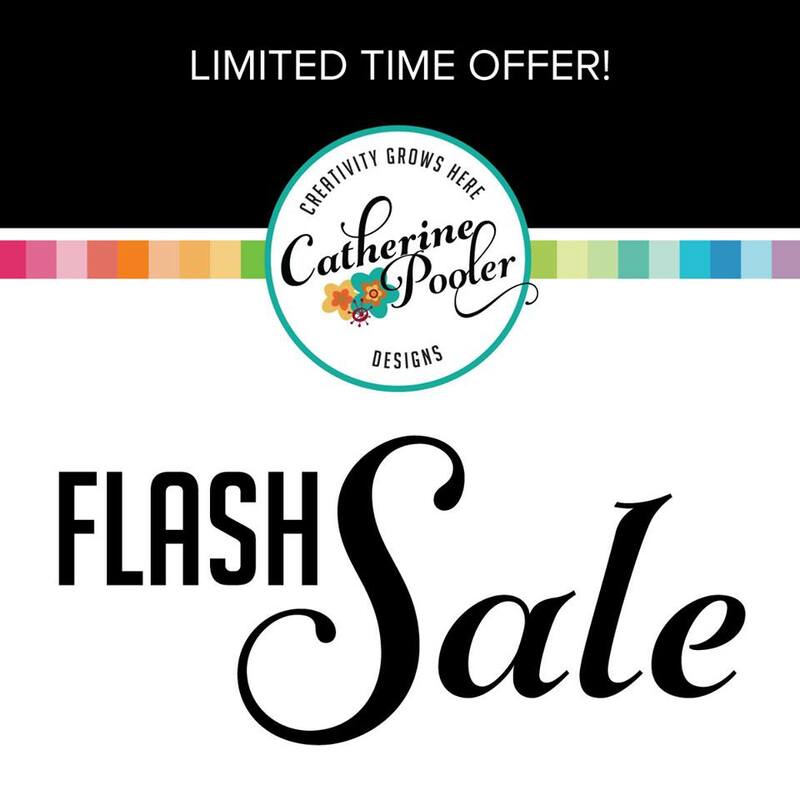 trust me I JUMPED on that sale so am going to save your amazing cards for inspiration...I am starting to become OBSESSED with CP inks...obsessed LOL! Thanks for sharing your great cards! I just lover your colour combinations! Head over heels in love with the pretty greens and yellows on the first card! TFS! Wonderful cards, so happy and fun! Very dynamic compositions. I love the whimsical flowers in this set. So unique and wonderful! Love them all. Beautiful cards! Love your color combos! Pretty flowers and sentiments! Love your mothers day card. This stamp set is so versatile. Thanks for sharing. Love those wonderful flowers & your inspiring designs? Great cards! What fun, happy cards! Love, love the colors on the second card. This set is awesome! Thanks for sharing your designs with us, and keep up the great work! Your cards make me want to buy this set and CASE your designs. They are gorgeous! Love Love LOVE!! 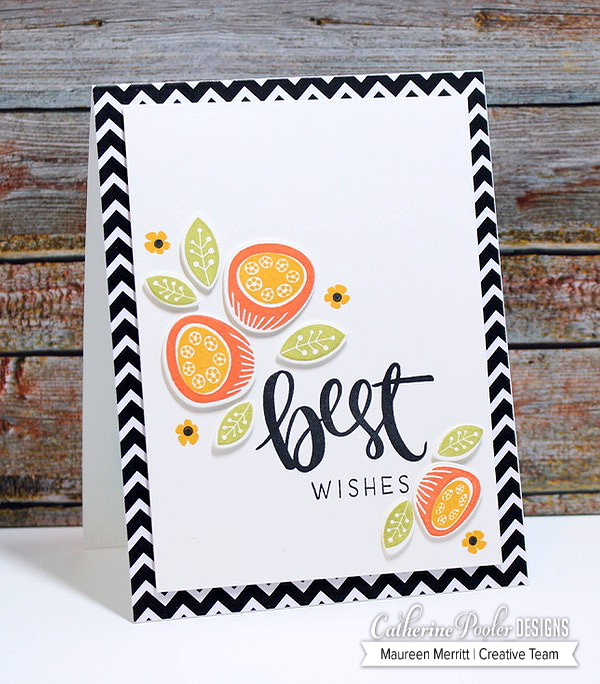 Simply sensational from the pops of color to the beautiful card design ! Gorgeousness! :-) TFS! Love Perfect Reason as the flowers are just outstanding in their field. They are whimsical and fresh! Gorgeous, eye-popping colors. Love the combination of colors used and the vibrant background papers! I love how versatile this set can be! combos you did on each card. It really is so very versatile, and I love the whimsical designs. Thank you. Love this whimsical stamp set and can see how it could be used in so many different ways. Thanks for sharing. Love the colours on the Mother's Day card! TFS! The first card gives you a warm feeling. The colors are muted and so pretty. The design is relaxed and happy.